Numerous gear casings rotate on Bootsman slide bearings. Since 1948 Engineering Bootsman has been a specialist in manufacturing and revising slide bearings in all shapes and sizes. Our slide bearings have been applied in marine engines, gas turbines, electric motors and gear casings. Please contact us for reliable advice, first-rate products, sharp pricing and adequate service. Bootsman slide bearings are applied in gear casings of manufacturers such as Renk, Flender and Voith. 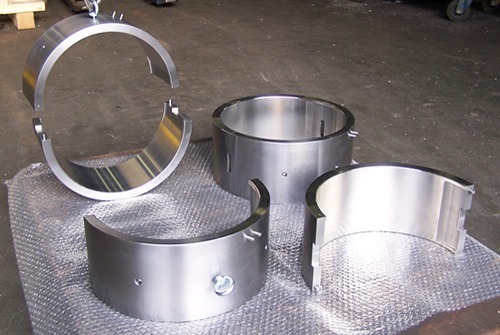 At Engineering Bootsman we have years of experience in working with gear casings. Engineering Bootsman supplies many big and small manufacturers of gear casings.